High concentrations of Red Tide extend 135 miles off Florida's West Coast. 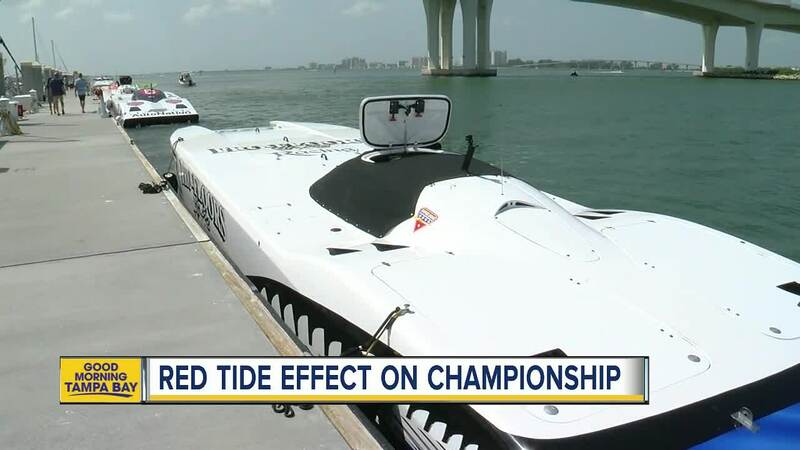 ST. PETERSBURG, Fla. -- Florida Fish and Wildlife Conservation Commission released a new report on Red Tide. 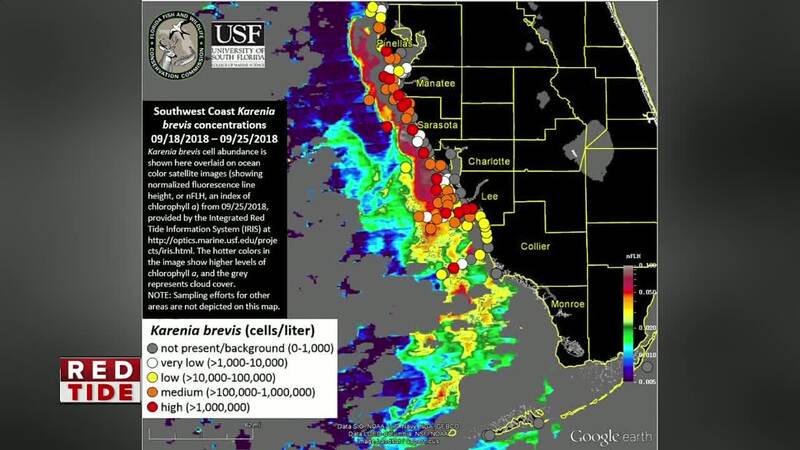 The Wednesday update shows Red Tide extends 135 miles of coastline from northern Pinellas to northern Collier counties. It also extends 10 miles or more offshore. According to the FWS, concentrations increased in Sarasota and Lee counties over the past week. High Concentration levels continue to be reported in Pinellas, Manatee, Sarasota, Charlotte, and Lee counties, according to FWC. Respiratory irritation continues to be reported in these counties. Reports of fish kills were received for multiple locations in Pinellas, Manatee, Sarasota, Charlotte, Lee and Collier counties. In Northwest Florida, fish kills were reported in Walton, Bay and Gulf counties.